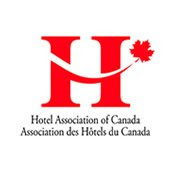 The Hotel Association of Canada released an extensive survey conveying very interesting results. Some of the findings were, with the economy slow down, you would think you would see a downward impact on travel but.... NOT SO. Three-quarters of Canadians said they were still going to travel. They may not stay as long or stay at high end hotels/bed and breakfasts. They may not spend as much on dining out. This could be a great opportunity for the hotelier to come out with some innovative ideas for extended free night stays or other enticements. The creative owner/manager will adapt to the current situation and come out stronger in the end. The business traveller requires more access to facilities such as the latest technology in internet access/projector; small meeting room with up-to-date furnishings and accessories accommodating 4-6 individuals for a minimal cost. The Canadian traveller utilizes the internet to access the most suitable accommodations for their specific needs. Three-quarters of business and leisure travellers say that the high-end hotels’ testimonials will influence where they stay. If the lower-rate accommodation properties have good testimonials on their website, they too, will benefit. Almost two-thirds of travellers are using the internet to book their accommodation and over 90% are downloading maps and directions. They are taking virtual tours to look at the on-line photos to see where they will be staying and what amenities and attractions are in the area. It is very important to have a clean, sharp looking site and go “that extra mile” to developing a quality website. Loyalty program rewards may not have played a big roll when the economy was better but now, may be a deciding factor where and how much longer a business or holiday traveller may stay. The clever operator will market that side of the business and will benefit greatly from the extra stay time. There can always be a silver lining to all aspects of the economy. For 32 plus years Jerry Dombowsky has been in the Real Estate Industry in Alberta and British Columbia which has resulted in an outstanding record of sales. He commenced his real estate career in Alberta, with the past 16 years located in the Okanagan Valley, selling Kelowna Real Estate in British Columbia and Alberta. Jerry’s knowledge base of the total British Columbia market lends his expertise to sales of hotels and motels, small and large businesses, and commercial real estate. Having owned and operated ranches and hotels and motels, in the past, gives Jerry Dombowsky a very good understanding of the effort needed to close the deal. Jerry is well versed in all aspects of the real estate market. When I decided to purchase a property, Premier Hotels and Motels listened to the points that were of particular concern to me. During the process of purchasing the property, Jerry Dombowsky worked diligently, keeping my needs his first concern and reported back to me on a regular basis in regard to properties that fit my parameters. Not only did Jerry find me a property that we liked, he helped me with the negotiations to purchase the property. Jerry also helped me settle in and followed up to ensure everything was to my satisfaction. Jerry continues to remain in contact with me on a regular basis. Due to Jerry Dombowskys integrity and professional attitude, I would not hesitate to recommend him. We have known Jerry Dombowsky for over 25 years. During that time Jerry has helped us buy two businesses, including our present motel. He also helped in the sale of three businesses. Jerry assisted with all transactions upon the purchase and sale of each business detailing the documentation required to complete each stage. Jerry has always remained in constant contact with us and has made us feel more than just clients. With Jerry’s honesty and friendly disposition, we would not hesitate to recommend Jerry Dombowsky for someone’s real estate needs. When we were looking to purchase an income property, we contacted Jerry Dombowsky in regard to one of his properties. It wasn’t what we really wanted but in discussing our needs, with Jerry, he found us a property that we were happy with. He helped us complete the sale and when it came to sell, he sold the property and helped us purchase another property. We have been satisfied with his service and we have recommended Jerry Dombowsky to our family and friends. At Premier Hotels and Motels we will implement a marketing plan designed to accomplish your objectives. Through our connections with Premier Canadian Properties the benefits of your Hotel, Motel or Resort will be presented to a world wide audience including Canada, Asia, India, Pakistan, Europe and the USA. Premier Hotels and Motels understands the market and we have the connections to close the deal for both buyers and sellers. At Premier Hotels and Motels we have a list of pre qualified Buyers for the Sellers which will allow us to complete the deal sooner. From our key contacts we have qualified properties for Buyers to choose from and this allows us to help match Buyers with the right property to fit their needs and desires of our clients. Some properties require a certain personality, someone with vision and strong leadership skills to get the highest return on investment.